Many divorce attorney’s consider January to be a “peak season” for couples seeking to end their marriages. This can be due to the stress from the holidays or maybe the relationship turmoil was softened by the holiday season and now things are back to normal. Regardless, this time of year sees many couples taking the first steps to absolving themselves from an unhappy marriage. 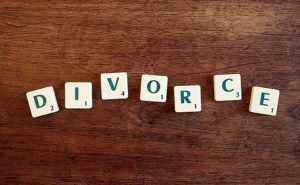 For this reason, our Raleigh divorce law firm has provided some advice to help someone considering divorce prepare for the upcoming challenges they may face. This should come as no surprise. Most people are not well versed in the legal world of divorce. In passing, the average person may have heard from friends who have gone through divorce what they can expect, but until you are in the situation, you won’t know what is involved and how you will handle each situation. That is why it is a great idea to research and learn as much about the divorce process as possible. This does not mean you will learn enough to handle your own case, but you will be in a better position to work with your divorce attorney. 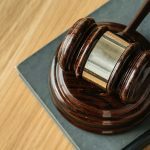 Educating yourself on divorce laws in your state will help you to prepare for each stage in the process. Your marriage may be ending, but parenting is forever. Of course your marriage is going to change your family dynamic, but that does not give you a pass to forget about the needs of your children. They will be affected by your divorce just like you, but in different ways. Make sure they know that you are still available to answer their questions and love them unconditionally. Children are resilient and will bounce back, but they do need your attention. Even after your divorce has finalized, your life with your children will continue and for that, you will be expected to interact with your former spouse. Many events will occur that require you and your former spouse to be present at the same time. Remember, those moments are about your children, not you and your ex. Keep hostility to a minimum and focus on your children. Divorce is a challenging prospect for anyone and seeking professional support is nothing to be ashamed of. 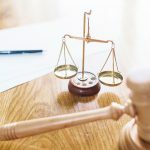 Obviously, getting legal help from an experienced divorce attorney is the best way to ensure you achieve the most positive outcome for your case. However, other professional services are available and wise to seek out. The legal code is very difficult to understand and complications always arise. Attempting to handle the details of your divorce case alone is fool hardy and short sighted. Have you considered how you and your spouse will divide marital assets? Are you going to seek alimony? There are so many issues that will have to be addressed before your divorce is finalized, that you will probably not be fully prepared to handle unless you have spoken to a divorce lawyer. An attorney can guide you through the process and prepare you for common “road blocks” that couples face. Also, they can negotiate on your behalf to achieve an outcome that is more beneficial to you. A divorce lawyer is important, just make sure that you find an attorney that meets your specific needs. Don’t assume that all attorneys are created equal and have the same goal in mind. Many times, an aggressive lawyer can promise the world and only deliver a portion. Find an attorney that you will be on the same page as you to achieve your goals. Your mental health will be under assault for the entirety of your divorce. This is not necessarily because your former spouse is malicious or wants an unreasonable outcome, but because even the most amicable divorce is stressful. There are deadlines to meet, concessions that must be addressed, property division and child support issues and much more that can be difficult to manage. A life coach or family counselor can help you to find ways to cope and manage each issue and make good decisions. Remember, your divorce lawyer is not your therapist. They are there to help you with your case, but they cannot mend your mind or soul. Just as you wouldn’t ask a chef to repair your car, you can’t expect a lawyer to repair your mind. Overlooking the stress that divorce can place on your body is not uncommon for divorcing couples. Divorce can lead to binging on sugary and fatty foods as a source of comfort. Drug and alcohol abuse can become a source of relief, albeit unhealthily, for some individuals. Regardless, taking the time to visit a general health care practice for your annual checkup or any other ailment is crucial. Stress is a contributing factor for high blood pressure, and divorce is full of stress so it is imperative to monitor your health. It may be the end of your marriage, but not your life. Going through a divorce is stressful and burdensome. For those reasons, and many more, it is important to take care of both your physical and mental health. Poor eating habits, lack of sleep and no physical activity can really take a toll on your mind and body. Join a gym or start doing yoga to take some of the stress off and possibly meet some new people. Health clubs are a great place to make new friends who can take your mind off your divorce, if only for a little while. That brief mental break could be just what you need to help recharge your spirit and help you move on. As stated before, your divorce is not the end of your life. Acting irresponsibly and engaging in reckless behavior is not a healthy way to deal with your situation. No matter your reason for this behavior, the outcome will most likely not be healthy. Divorce is an emotion filled life event. Anger, sadness, despair and many other emotions can be invoked during the whole divorce process. Recognize your emotions to gain better control over them to avoid irrational behavior and life decisions. It is ok for you to feel the ways you do, just do not let those emotions control your life. Finalizing your divorce will not make these emotions disappear, so making a conscious effort to address them will help you to move on afterward. Working with an experienced Raleigh divorce attorney is a smart decision for your divorce case. The family law team at the Doyle Law Group, P.A. are ready to help you during this difficult time. Schedule your consultation with our team by calling 919-301-8843 or by completing the contact form below.